Applique DIY and my Team Spirit quilt pattern design go hand in hand. 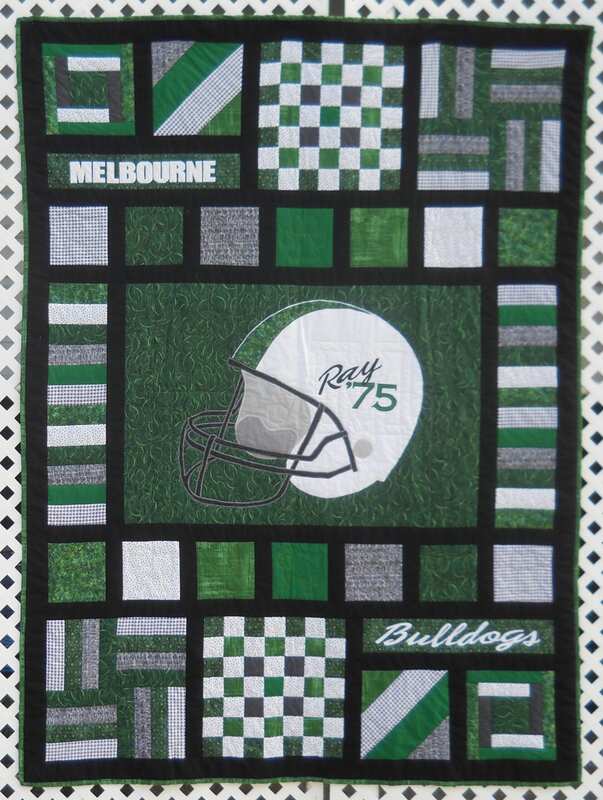 Would you like to own or gift a quilt that really shows off a favorite team, school or sport? 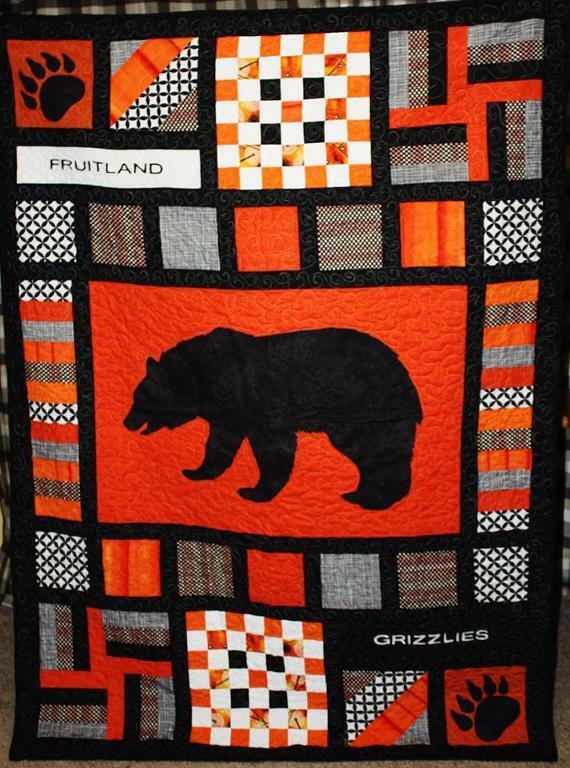 Have you looked in vain for logo designs or really cool ready made quilts, only to discover that they are licensed and (if available) are outta this world expensive? I can help you create your own, unique quilt! 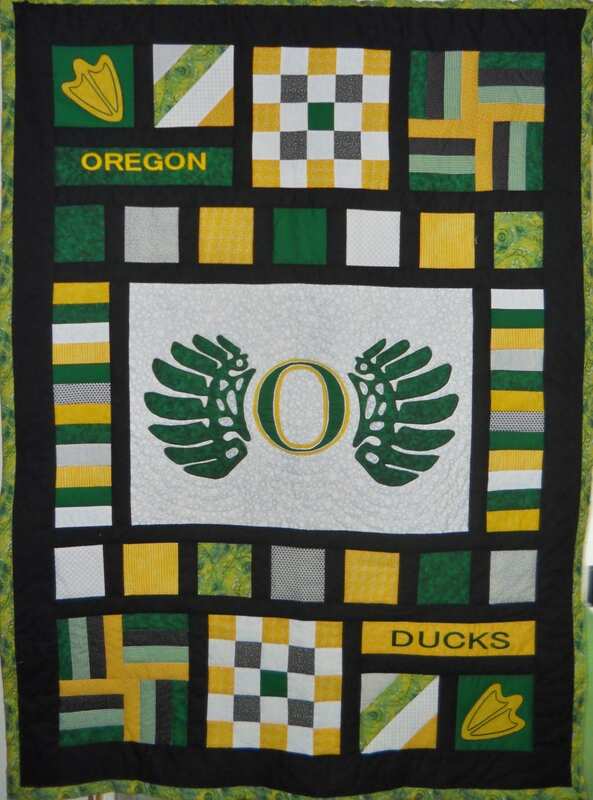 Several years ago, I created a quilt for a young Oregon Ducks fan, as a gift from his grandparents. I shared it on social media sites, and soon received several requests for a pattern. Some were Ducks fans, others were not. SO, I designed a basic quilt pattern using my (slightly revised) layout. Early in the pattern design process, I realized that an appliqué option was needed. I don’t have time to design appliqué patterns for every school and team out there, and I couldn’t sell them if I wanted to. Licensing is expensive for me, too! The solution? Develop an applique DIY design tutorial to go with the pattern. Readily available, so that everyone can create their own unique quilt. Done and done. This leads me to the best thing about the Team Spirit design: its flexibility! The design works for any team, any sport, any school. Use the football helmet pattern included in Team Spirit, or use the applique DIY tutorial to create your own patterns. Select fabrics in your colors, and you’re all set. Team Spirit is modern and bright, works for guys and girls, and it’s a lot of fun to make! 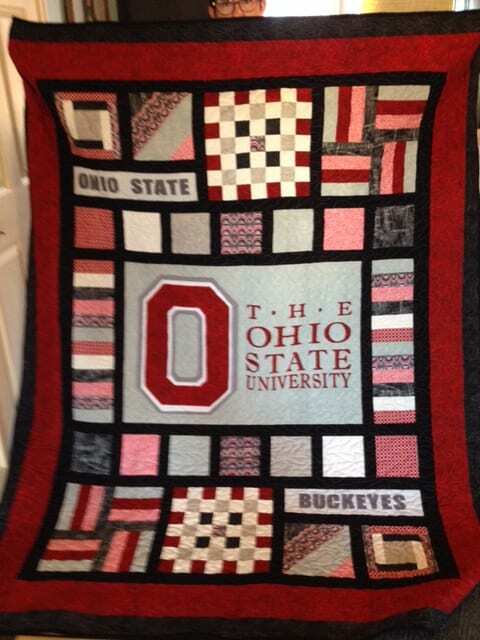 Here are just a few quilts that have been made using my Team Spirit Quilt Pattern. Do you a have a good, clear hard copy of your chosen design? If so, it may be easier to take it to a printer and have them blow it up to the correct dimensions. If you don’t have a hard copy, you’re still in good shape! My applique DIY design tutorial helps you create your own pattern. All it will cost you is a little bit of your time, and it’s really easy. Find a picture or graphic online, and follow a very basic process. If you are familiar with Adobe Illustrator or PhotoShop, you can save yourself several steps. Find the simplest version of the picture of graphic you want to use, with the fewest colors and design details. Be prepared to further simplify as you go through the process to make it easier on yourself! I decided to follow a visual route when walking you through the process. Screen shots and photos are accompanied by brief descriptions. I used Windows Live Photo Gallery and Paint when developing my process. Click HERE to view the complete Applique Tutorial post. Simply follow the steps in the tutorial, and you can create an applique pattern of any size and shape! If you ARE a Ducks fan, you can find my FREE Ducks appliqué pattern HERE.